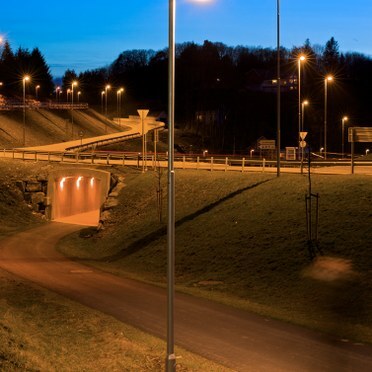 Working in association with Otera Samferdsel AS, Thorn's Gotthard and Civic luminaires are lighting the way across the new Farsund city by-pass, which includes three roundabouts, a 2.3km road, a 350m tunnel and a 1.6km walking and cycling path. The new by-pass was built to relieve the city of the constant flow of heavy north and south bound through-traffic. 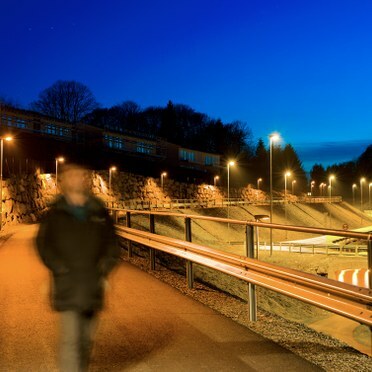 Bjørn Rune Steinsland from KAM outdoor, Thorn Lighting says: "The by-pass provides a safer, quieter and more relaxed environment for residents, as well as reducing the carbon emissions in the city centre." More than 230 luminaires have been installed, with Gotthard being selected for the tunnel and Civic for the roads. The luminaires also have stand alone control with BP functionality to make them economical to run and achieve energy savings. Kim Holteberg, Project Leader at Otera Samferdsel AS, says: "The solution Thorn presented was to our exact requirements and I am very pleased with the results. I was impressed by the way Thorn managed the installation and the service as a whole. Even after two years, I have had no problems with the lighting so it has proved to be a very reliable solution."